Our Finance Partner, Smartline Bella Vista, recently sent us a September 2016 Housing Market Update across the Capital Cities. In this report, CoreLogic Research Director Tim Lawless presents for Smartline this latest Housing and Economic Data. Here are some of the key statistics we found broken down by capital city. A property spent an average of 26 days on the market in 2015 compared to 37 days on the market in 2016, an increase of 11 days. 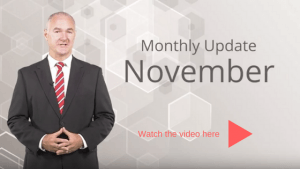 You can click here to see the Corelogic October 2016 Housing Market Video online.